Erika Brent Sage & Zoo - Teething Biscuits-YUM! Kodi enjoying a yummy dairy-free teething biscuit. 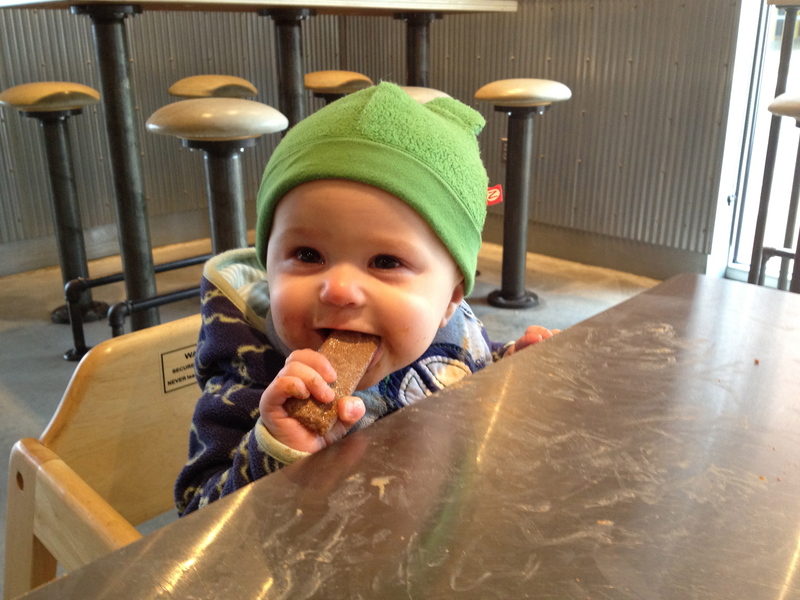 One would think a teething biscuit would be easy to come by, however, with dairy allergies it is quit hard. I am not sure why all the teething biscuits in the grocery store have dairy in them, but they do! I even checked Ellwood Thompson and all had dairy. I was so happy when I found out about Healthy Time Premium Organic Teething Biscuits. They are messy and are worthy of a bath after eating, but they will keep him happy and entertained long enough for us to eat. We bring them with us when we go out for lunch at one of the few places I can eat, or I give it to him when I need to make a business phone call, because we know it will make him happy and occupied for some time. Kodi loves them. We love them.